Are you ready for an outdoor adventure? 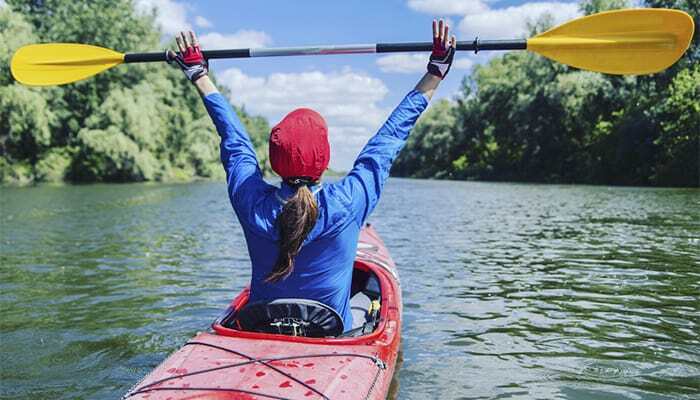 Kayaking is a fun water activity for those who want to connect with nature, appreciate the world around them, get a full body workout, and take on an exciting new hobby. 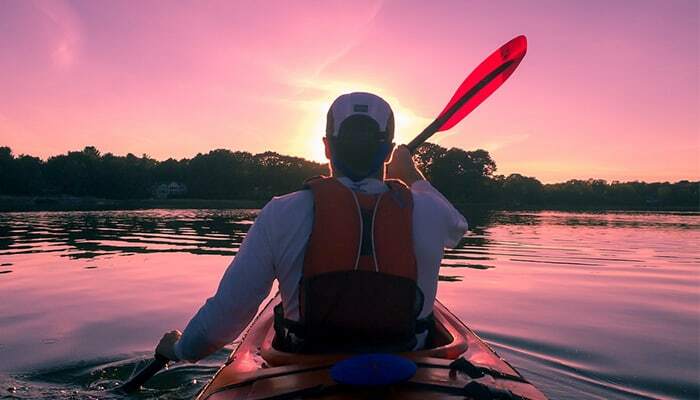 Kayaking is a versatile sport; it’s ideal for solo enthusiasts, pairs, and groups alike. If you’d like to give it a try, but you’re not quite ready to set out to sea, read on. Our Complete Beginner’s Guide to Kayaking is a comprehensive step-by-step resource for the absolute beginner and beyond. 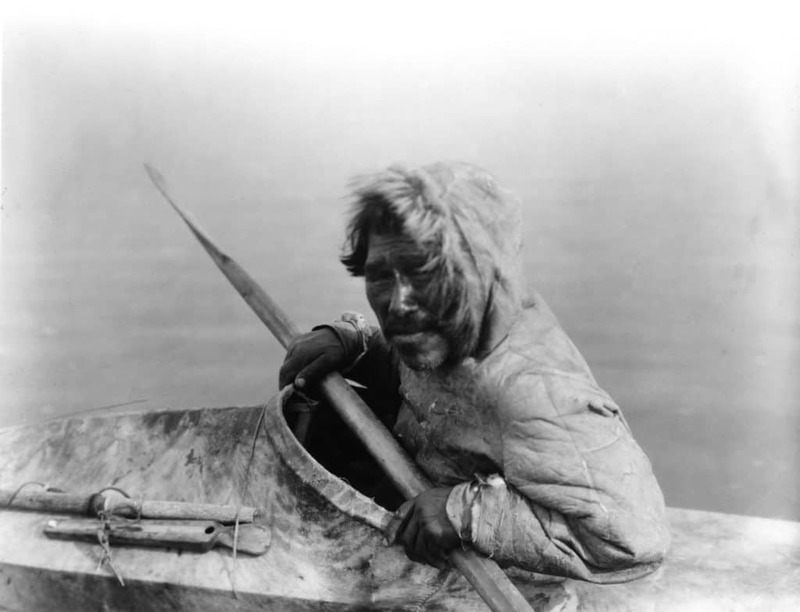 First created for hunting by the Inuit tribe of the Arctic North American region, the kayak has a history that spans approximately 5,000 years. There were initially two distinct types of kayaks, those made from driftwood and those made from animal skins stretched over whalebone frames. Kayaks—otherwise known as “hunters’ boats”—were later covered in fabric by European settlers. Years later, in the 1950s, fiberglass was used to create the resourceful vessels. And in the 1980s, the very first plastic kayak was born. 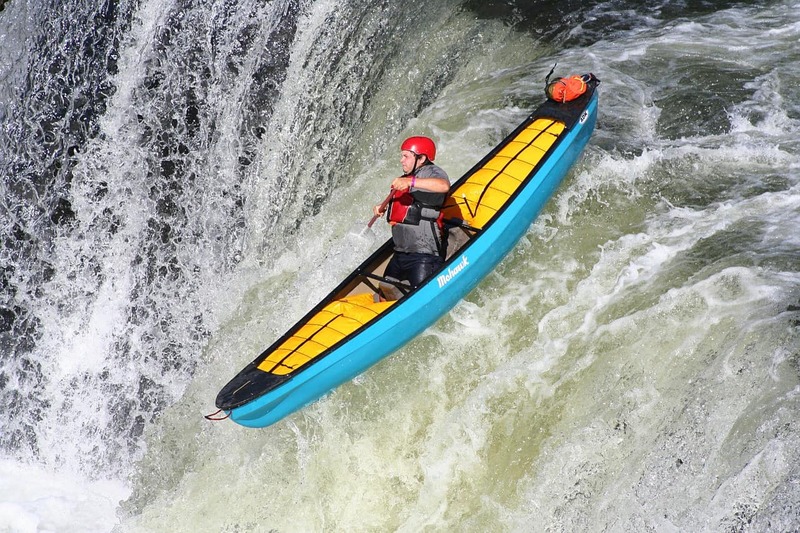 Currently, the majority of kayaks are made from lightweight, durable polyethylene plastic. Kayaking as we know it today first became popular back in 1845, thanks to sportsman and inventor John MacGregor. In 1936, kayaking became an Olympic sport. Today the activity is used for both leisure and competitive pursuits, and continues to grow in popularity. You may choose to rent a kayak from a local shop for your first few (or your first several hundred!) times on the water. 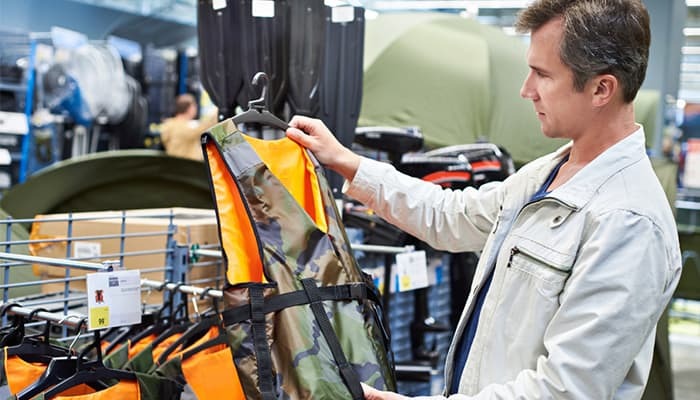 Depending on where you live, you’ll likely find that there are tons of rental outfits and kayaking classes nearby. Often, outdoors stores like REI and L.L.Bean will offer classes and tours. Organized events take care of providing the boat, gear, and necessary instructions. Plus, they will choose a suitable location. Many people enjoy kayaking on a fairly regular basis without owning a boat. Used for recreational purposes on calm waters, this type of vessel makes it easy to get on and off. Sit-on-tops are ideal for warmer climates (plan to get wet), and they have adequate space for possessions. The downside? They tend to be heavier than sit-in versions. This fast-moving option is perfect for cooler climates. 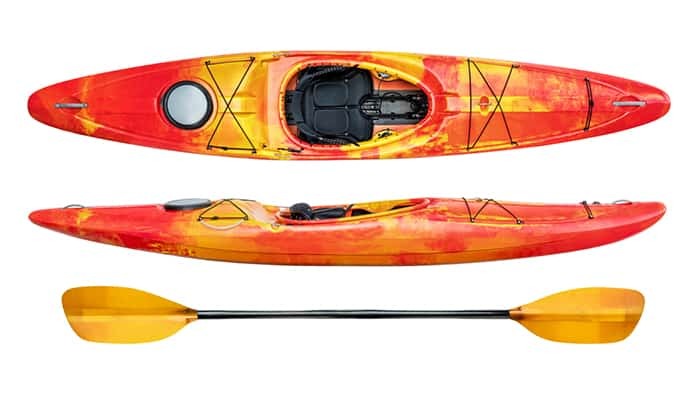 Offering plenty of storage space and better control than sit-on-top versions, sit-in kayaks are ideal for choppy waters and long-distance kayaking. The downside? Sit-in kayakers must learn how to maneuver a wet exit. These sit-in boats track straight and are markedly more efficient than their recreational competitors. 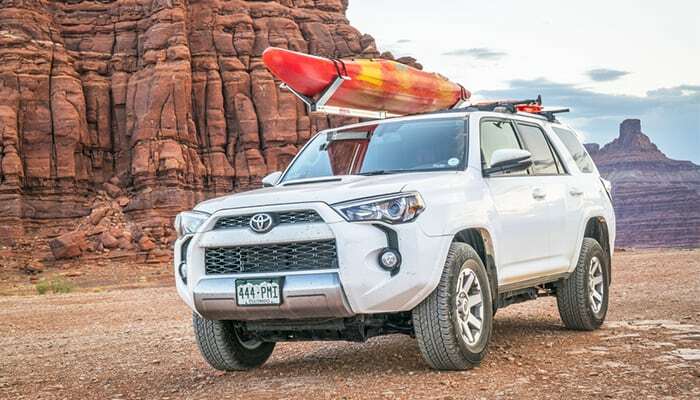 While they’re often more expensive, day touring kayaks are easier to control and transport. Ideal for long distances, these efficient boats track straight and offer plenty of storage space, though they come with a hefty price tag. Inflatable kayaks are a space-saving option that fit into small spaces, yet provide a fun and efficient kayaking experience. Choose from recreational models or more rugged options. Perfect for apartment dwellers and others short on space, folding kayaks handle well and fold for easy storage. If you’re a fisherman at heart, you may opt for a sit-on-top fishing kayak. The vessel will even hold your rods. Instead of splurging on two kayaks for you and your significant other or child, opt for a tandem kayak. Because these boats are made for pairs, this option is best if you don’t plan to go solo. Desired paddling locations: Do you hope to explore lakes or rivers, oceans or whitewater? Different kayaks have different capabilities. Weight: Are you hoping for a lightweight kayak you can manage carrying yourself? Or does weight not really matter to you? Durability: How long can you expect the kayak to last? Does it need to hold up in rough conditions? 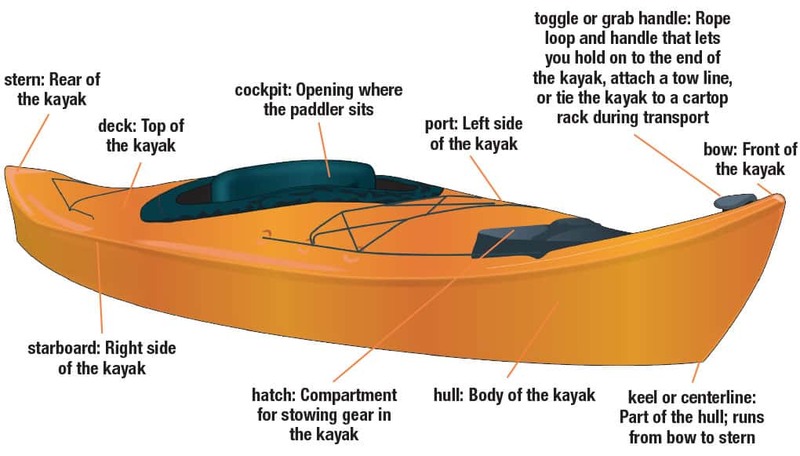 Storage capacity: How much space do you want the kayak to have to store your things? If you’re planning to kayak out to a campsite, for example, you’ll need more space than if you’re just heading out on shorter day trips. Price: At the end of the day, budget can be a limiting factor. So before making a selection, take the time to think through what you’re hoping to do with your kayak, and which factors will be most important. Sure, kayaks and canoes look a lot alike, but there are many more differences than similarities among the two. The proof is in the paddles. Kayak paddles are longer and have two blades, while canoe paddles only have one. Canoers sit on a built-in seat or kneel on the canoe floor, while kayakers sit in a cockpit or on top of the vessel. The construction is also different, as canoes generally have an open deck. This type of kayaking is all about relaxation and nature. Intended for sightseeing on lakes or rivers, touring is perfect for beginners. Reserved for seasoned kayakers, sea kayaking allows enthusiasts to ride the waves and explore unchartered territories. Some brave sportsters even surf in their kayaks. 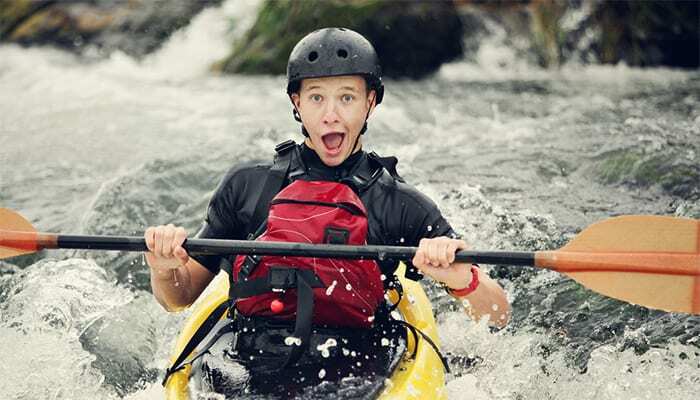 Not for the faint of heart, whitewater kayaking is just as exhilarating as it sounds. 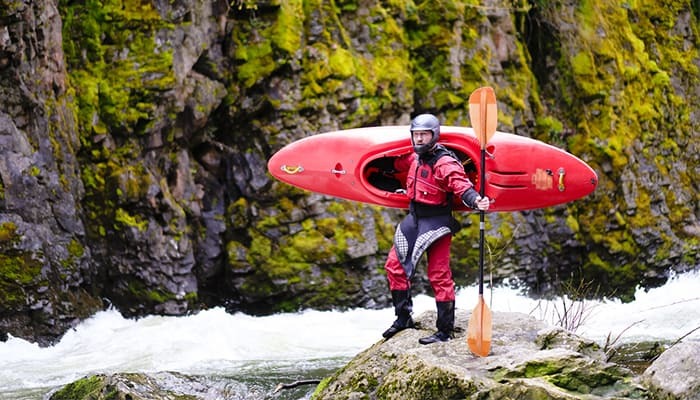 With rapids and waterfalls to ride, this sport is best for kayaking experts. There are various ways to compete with a kayak, some of which can be viewed during the Olympic Games. These include slalom and sprint. Unfortunately, kayaking paddles aren’t one-size-fits-all. You’ll need to consider your height and the style of your vessel when purchasing a paddle. If at all possible, visit a local shop for expert advice and paddle recommendations. 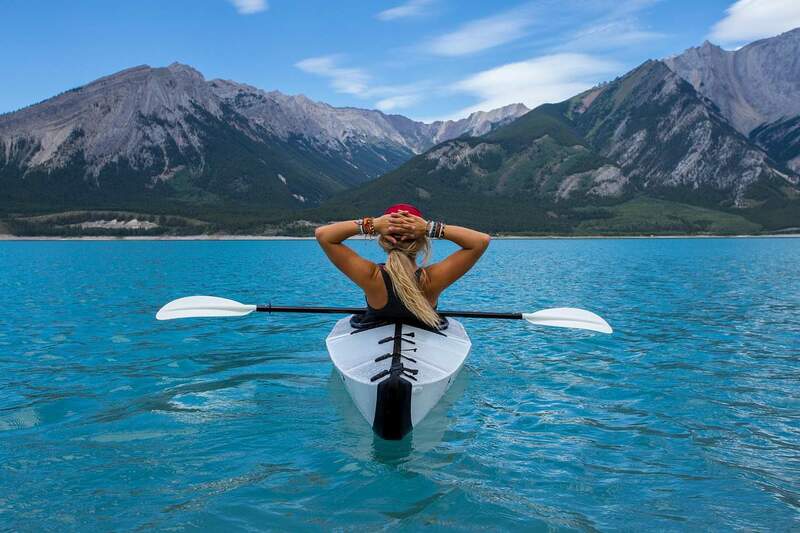 Paddle prices vary greatly, but it’s best to invest in an efficient, durable model that will last (see my top recommended kayak paddles here). Breakdown paddles can also be purchase for emergency situations. Make sure your PFD is coastguard-approved, fits properly, and allows for necessary movement. Sit-in kayakers will need a spray skirt, otherwise known as a spray deck. 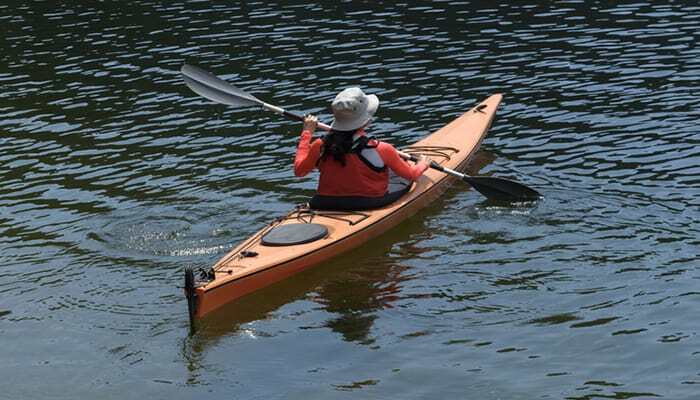 This flexible waterproof cover will keep water out of your vessel as you paddle. This pumping source will ensure water doesn’t accumulate inside the vessel. Waterproof bags for maps/charts and possessions, such as your phone, cash, identification, etc. Check out my ultimate kayaking checklist here! Swimwear and a short- or long-sleeve top: Avoid cotton and opt only for quick-dry materials. Check out my article on where to wear kayaking here! Sit up straight with your rear end against the seatback. Some vessels allow you to move the seat for comfort. After placing your feet on the foot braces, make sure your knees are slightly bent. The foot braces are generally adjustable. Once you’ve adjusted your kayak, it’s time to launch. Just a few simple steps, and you’ll be rowing in no time. Launching note: Before you launch, don’t forget to put on your PFD. Take care not to drag your kayak across the sand or rocks. Carry the vessel to shallow water—with a friend if possible–and make sure the front of the boat (the bow) is facing the water. Step into the cockpit from the side while holding the paddle across your vessel. The paddle should be perpendicular and directly behind you. Once seated, use your hand to maneuver to deeper water, then begin to paddle. When holding your paddle, be sure not to grip too tightly. Your wrists should be straight, not bent. Your knuckles should be in line with the top of the blade. For the perfect arm width, center your paddle on top of your head before slowing bringing it back down. This will ensure your hands are in the proper position. Hold the paddle against the top of the boat and remove the spray skirt, if there is one. Grab the sides of the cockpit and bring your knees close to your rear end. Bring one foot out of the vessel and into the water. Stand slowly, make sure you’re balanced, and step out of the boat with your second foot before carrying your vessel to shore. The catch stage – Plunge your paddle into the water near your toes. The propulsion stage – Next, pull the blade backward just past your hip. The exit stage – Rotate your torso as your bring your paddle out of the water, and rotate again to repeat the motion on the other side. Forward stroke tip: Be sure to sit up straight during each motion, and bring the hand past the face with each rotation. To maneuver backward, use the back face of the paddle. Look to the rear, and place the back face of the paddle in the water just past the hip. Next, bring the paddle forward in the water. Reverse stroke tip: Allow your weight to shift with each stroke. To turn your kayak, plunge your paddle into the water near the tip of the boat. Sweep the paddle back through the water to the back (the bow) of the boat, keeping the paddle horizontal. The motion will form an arch shape. The blade shouldn’t leave the water until it’s time to rotate to the other side. Located at the back of the vessel, rudders are controlled by the foot pedals and move the boat side to side. The right foot pedal turns the vessel to the left, and vice versa. To keep your boat traveling straight, this is a fixed fin that drops down near the front of the boat (the hull). Keep your skill level in mind: I recommend short trips on flat waters for beginners. Make sure your PFD fits correctly: The device should fit snuggly, but you should be able to move freely. Don’t go it alone: Always take a friend along when venturing out on the water. Stay together, or at the very least, within earshot. Always wear a whistle: Don’t hesitate to use your whistle if you find yourself in trouble. In case of emergency, use three long blows. Plan ahead: If you are unfamiliar with an area, be sure to ask an expert about hazardous spots you should avoid, and always check the weather forecast ahead of time. Dress properly: If the water is below 60 degrees Fahrenheit, wear a wetsuit. Don’t travel too far: For beginners, it’s best only paddle out only as far as you can swim back to shore. Don’t skimp on supplies: Be sure to take along plenty of water, along with a snack or meal, depending on the time of day and length of your trip. Consider communication: Bring a cell phone along, or a VHF radio. Be sure to keep it stored in a waterproof bag or case. Learn to wet exit: If you are using a spray skirt, be sure to learn how to wet exit before setting out on the water. Later on in this guide, I go into greater depth about staying safe out on the water. Make sure to read the sections below on how to perform a wet exit and what to do in case of emergency. You’ll want to take your first kayaking adventure on a windless day. If there’s a breeze, paddle into the wind on your way out to make things easier on your way back to shore. Plan short journeys to avoid fatigue. 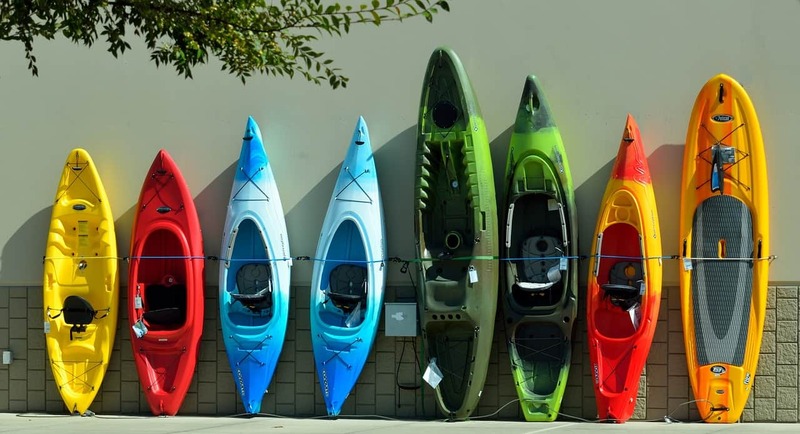 Now that you have everything you need for your first kayaking trip, it’s time to choose an ideal spot to try out the sport. Opt for calm rivers or lakes, and avoid rushing waters or waves. Be sure there are few (or no) powerboats to contend with. A quick Google search will turn up kayaking locations in your local area. The Colorado River: If you live in Arizona, or would love to travel there, bring your kayak along for a serene day trip along the Colorado River. Sparkling clear waters and a view of the breathtaking canyons ensure a memorable ride. The San Juan Islands: Visiting Washington or lucky enough to live near the peaceful San Juan Islands? Take in the stunning scenery, and keep an eye out for whales while kayaking. There are even guided tours offered for complete beginners. Michigan’s Upper Peninsula: You’ll find gorgeous sunsets and still waters in Marquette, Michigan—an ideal spot for kayaking novices. Lake Placid: Take in beautiful views and explore new territories in Lake Placid, New York—a beloved kayaking hotspot. Savannah: Enjoy coastal kayaking while visiting the great southern town of Savannah, Georgia. Find a multitude of kayak rentals and guided tours by local experts. As mentioned up above, a guided tour is a great place to start if you don’t yet own a kayak. These tours include a boat and gear, plus access to a kayaking expert. Some areas also offer classes to teach new kayakers the basics. 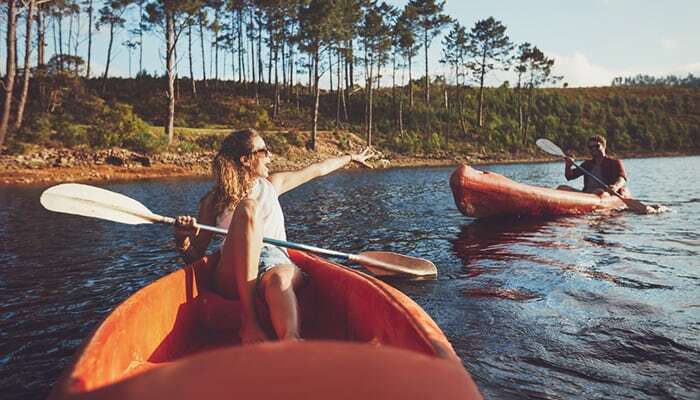 In addition, if you live near a good river or lake, you’ll probably find plenty of kayak rental companies that will get you outside enjoying the water. I always recommend taking a class or two if possible in addition to simply renting, since you’ll improve more quickly and learn new techniques with some professional guidance. Do a little research to discover what’s available in your area. If you live near an L.L. Bean or an REI, you’re probably in luck! And if you like the idea of a taking a kayaking trip abroad, there are plenty of options for that too! Make sure everyone, especially children, has a properly fitting PFD. 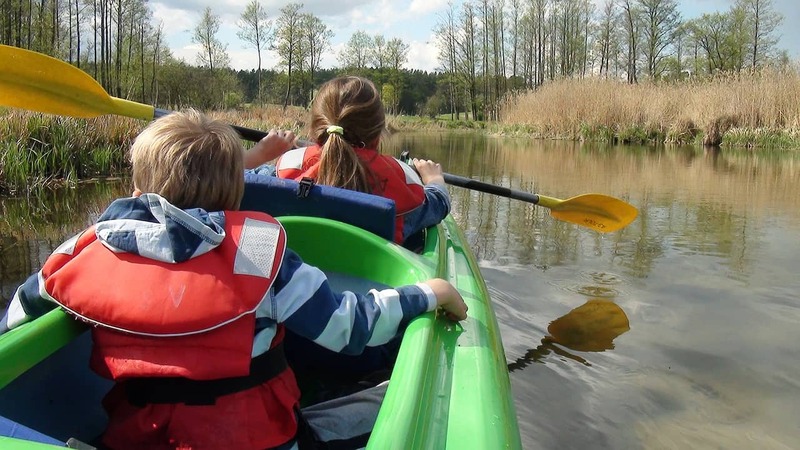 If there are kayaking lessons or classes in your area, sign up the whole family ahead of your first outing. In general, there should be one adult for every child, depending on age and skill level. Choose a spot with flat water, and plan a short trip for the first few times out. Check the forecast and ask an expert for advice on where to go. Plan snacks, meals, and bathroom breaks in advance. Organization is key. If children are under 7, consider a canoe. More riders can fit in a canoe, and children have more room to move. Take plenty of snacks and water along. Bathroom supplies are also a must. 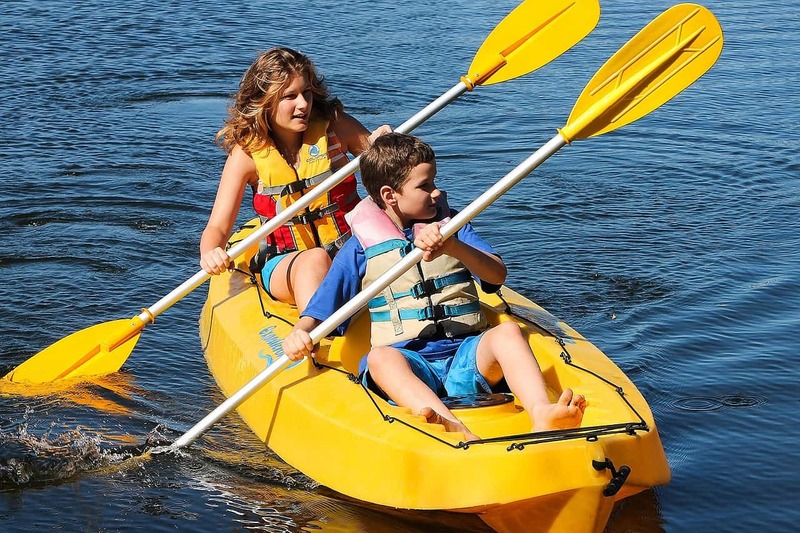 Family kayaking tip: Keep your first trip out to 30 minutes or less to ensure a fun, exhaustion-free experience. Kayaking is a full-body workout, so it’s important to warm up before you venture out and stretch afterward. To stave off fatigue, be sure to cross-train. 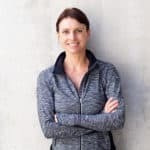 Swimming, running, hiking, and biking will improve your cardiovascular health, while strength and resistance training will build muscle and help ward off injuries from overuse. Check out my article on how to train for kayaking here! Get fit tip: Don’t forget the core! Kayaking requires the core to be strong and engaged. Try using an exercise ball for crunches and twists. Recreational kayaks generally weigh 30 to 50lbs, so it’s important to keep your safety in mind during transport. If you live near the water, transporting your kayak on foot is simple, especially if a friend is nearby. Squat down and pick up the vessel using the handles at each end. This makes it easy for both of you to walk while facing your destination. Bend down beside your kayak and prop it on its side. Bring your shoulder beneath the kayak’s cockpit and slowly stand up. Be sure to keep the back straight to avoid strain and discomfort. Put on your PFD before carrying your kayak for extra padding and comfort. You can use a wheeled cart if your kayak is too heavy to carry. 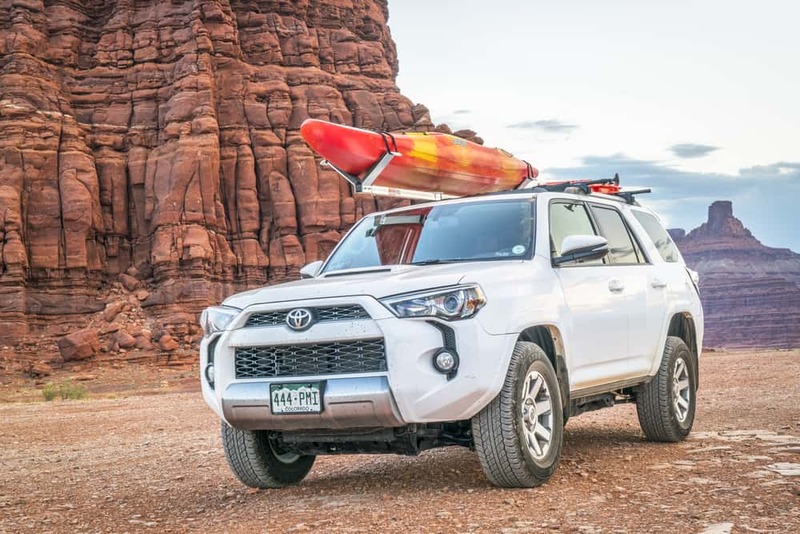 Carry your kayak, one person at each end, until it’s parallel with your vehicle. Make sure the bow is facing front. Bend at the knees and lift the vessel by the hull before hoisting it over the head and gently onto the rack. Be sure to follow the instructions included with your specific rack. With one person on each side of the kayak, position a cam strap to the side of one of the crossbars. Hand the opposite end of the strap to your partner. Pull the end of the strap under the crossbar and feed it through the cam buckle before pulling it snug. The strap should be on the inside of the crossbar. Repeat the above steps to secure the kayak at the opposite crossbar. Tie straps to the crossbars to prevent them from flapping in the wind, and tug on the kayak to ensure it is secure. If you’re driving long distances, on freeways, or in windy conditions, secure your vessel with bow and stern straps. Consider using a ladder for tall vehicles. Use rope if you don’t have cam straps. 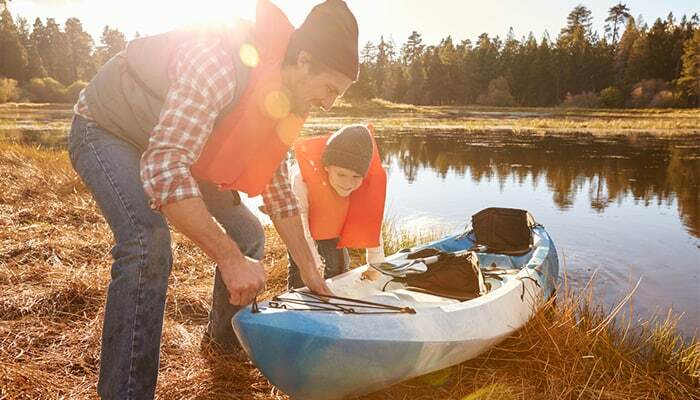 Stop and check to make sure your kayak is secure periodically, especially on longer trips. In all of these cases, you’ll need a tow belt—a waist belt that is worn directly below your PFD. Ask your friend to sit up straight to keep the vessel balanced. They can either choose to paddle or not, but their boat should always stay behind yours during a tow. Clip your carabiner to an anchor point at the front of your friend’s kayak. Begin paddling and make sure there is tension in the rope before steadily paddling towards shore. Towing Tip: Practice with a friend on flat waters to ensure you both know how to tow in case of emergency. In the event of a capsize, lean forward. Pull on the grab loop on your spray skirt. Place both hands on the sides of the cockpit coaming and squeeze knees together to release the thigh braces. Take a breath before going under the water. If at all possible, hold onto your paddle. Don’t panic if you can’t. Launch forward and let your PFD take over. Once you’re above water, retrieve your kayak and paddle. Once you have your paddle and kayak, grab ahold of your paddle float. Put one leg inside the cockpit. Slide the paddle blade into the float and attach clips. Reach beneath the kayak and grab the coaming on the far side. Pull up as you push on the kayak and flip it into position. Lay your paddle across the kayak and grab onto the far side of the vessel. Climb onto your paddle and pull yourself onto the back deck. Turn your body and place your legs in the cockpit. Once you’re in the kayak, remove the paddle float and pump the water out of your vessel. Put your spray skirt back on before resuming your journey. Self-rescue tip: Be sure to practice a self-rescue in flat waters before venturing out alone. Hand signals: When paddling with a partner, talk beforehand to determine basic signals. Whistles or horns: Always keep a whistle or horn nearby to use in emergencies or to get another paddler’s attention. Flashlights and headlamps: These are most useful in areas with low light. Signaling mirrors: These are best to use during the day in non-cloudy conditions. Flags: These are best used on days with clear skies. Flares: Highly effective and ideal for all weather conditions, day or night. If at all possible, store your kayak indoors. You can prop your boat on a rack or suspend it from the ceiling with a kayak suspension system. No matter how you store your kayak, make sure the weight is evenly distributed for support. If you need to store your boat outdoors, keep it out of direct sunlight and away from heat and the elements, such as rain and snow. If your kayak is made of a material like polyethylene plastic, UV rays will damage it over time. Clean your kayak before storing, and avoid using tight straps. Look for a shady spot and utilize a weatherproof tarp. 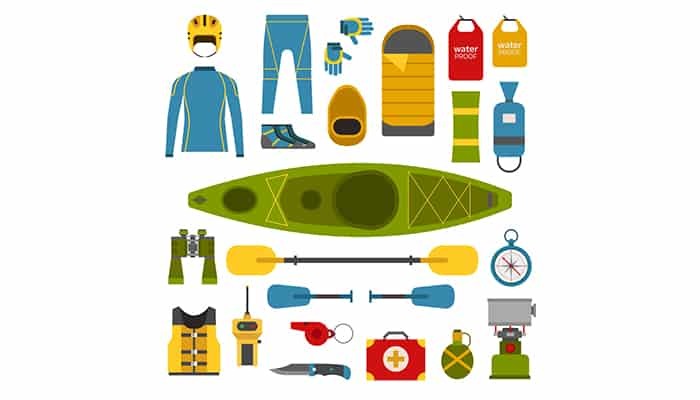 Your gear—including your paddle and spray skirt—will also need to be properly stored. Clean these items and take them indoors for safekeeping. Sure, there’s a lot to learn, but you’ll soon realize your time and effort were well worth it. Once you’re out on the water, we’re fairly certain you’ll fall in love with the sport. Remember: progress, not perfection. Do your best, and above all else, have fun and enjoy the ride!